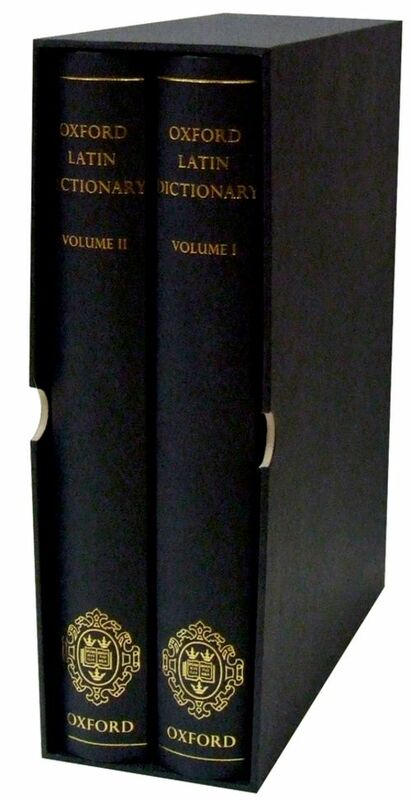 The world's most authoritative dictionary of Classical Latin, the monumental, two-volume Oxford Latin Dictionary offers unsurpassed coverage of the language of Rome from its beginnings until AD 200. More than half a century in the making, and originally published in a series of fascicles (parts) from 1968, this magisterial reference work was finally published in a single volume format in 1982. Now this indispensable resource is available in a revised and freshly redesigned Second Edition. As well as 40,000 headwords and 100,000 senses, the Dictionary includes a vast collection of illustrative quotations taken from the canon of Classical literature, arranged for the first time conveniently under each sense and subsense. In addition, for the Second Edition, the newly digitized text incorporates a significant amount of editorial updating, including revised English translations, expansion of abbreviations, and clearer labelling throughout the text. The new design is a masterpiece of concision and clarity and the entire text is handsomely bound in two volumes. Finally, the supplementary material has been revised and includes a new Introduction by noted Classical scholar Christopher Stray, a Guide to using the Dictionary, a redesigned bibliography, and a new Foreword from the current editor. The Oxford Latin Dictionary is a comprehensive and authoritative reference work--an absolutely essential work for all serious students of Latin, including teachers, students, and general readers interested in classical languages and literature as well as scholars working in ancient history, languages, art history, ancient philosophy, religion, archaeology, law, medicine, and natural science.